Household appliances in a Symphony delirium is not something that you normally expect to see in a Museum. Well, not anymore! Conductor, cembalist and composer Michael Petermann (alias Weisser Rausch) has gathered 200 historic vacuum cleaners, mixers and washing machines and has transformed them into musical instruments! These appliances forming an orchestra and named: Stupid Orchestra will be ‘performing’ until 30 April 2011 at the MKG Hamburg (Museum für Kunst und Gewerbe Hamburg) and will make you reconsider the way you think about home appliances! In this half an hour performance a telephone is the conductor and the all the vacuum cleaners and the mixers are the musicians! 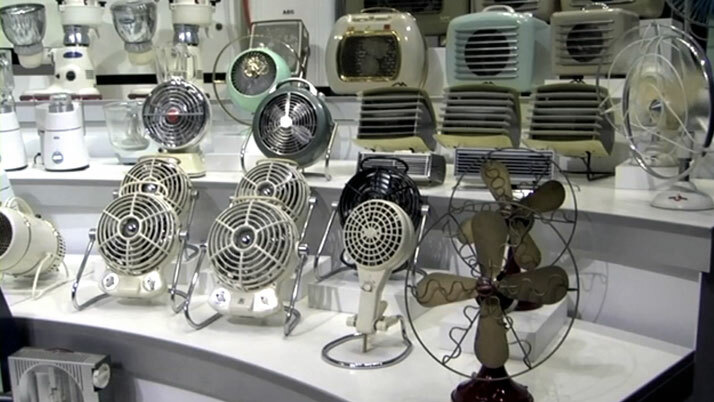 So be prepared for an unforgettable performance of 200 vintage appliances which might make you feel a bit dizzy in the end. After all, there is something funny and even poetic making you believe that all these machines can play music and at the highest standard! Enjoy!